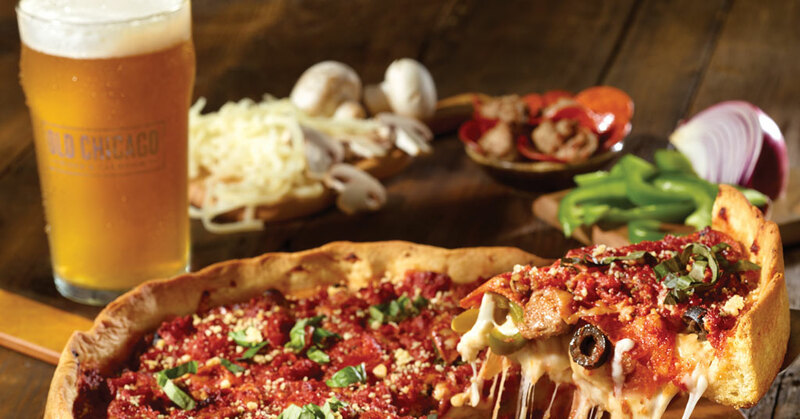 Old Chicago Pizza & Taproom is set to take its beloved brand to new heights with a personal approach that is all about the experience. The casual dining restaurant chain, known for its hand-crafted pizza and world-class craft beer selection, has long been an innovator of using rewards to build a community of faithful followers. The brand boasts one of the industry’s first restaurant loyalty programs that has evolved over the past 40 years from a popular punch-card system for beer lovers into a multi-faceted, fully-integrated program that creatively delivers what each customer values most. Driving engagement through the Old Chicago experience is paying off. Since the launch of the brand’s digital platform—OC Rewards—in 2014, loyalty-related sales have doubled from 15 percent to more than 30 percent of total sales now directly tied to loyalty, notes Jason Siska, director of loyalty and chief relationship manager for Old Chicago, a member of CraftWorks Holdings family, the nation’s leading operator and franchisor of brewery and craft beer-focused casual dining restaurants. OC Reward members visit more frequently, and highly engaged members spend more per check. There is a lot to love about Old Chicago and OC Rewards is designed to share that love at every turn with a unique craft beer and food journey. At its core, the loyalty program rewards guests one point for every dollar spent on food and beverage and five OC Bucks for every 75 points. Guests earn recognition, prizes, promotional offers, and members-only perks that are seamlessly tracked online and through the mobile app. In return, Old Chicago uses its treasure trove of data to send messages about a specific brewery or style of beer, new LTO menu items, or discounts to encourage a return visit. There is also a unique experiential component—Old Chicago’s famous Mini and World Beer Tours—that enable guests to explore the brand’s 110 varieties of handpicked beer selections from around the globe. Depending upon the challenge taken on and completed, guests have the opportunity to earn a plate and a spot on the Hall of Foam, a VIP Loyalty Card, and a VIP beer stein personalized for their use in the restaurant. With more than 100 restaurants in 23 states, Old Chicago provides extensive franchise support, training, and hands-on help to ensure restaurants inspire loyalty from the start. During the first few weeks of business, each new store hits the ground running with a Mini-Tour to introduce Old Chicago and the rewards program to the community and build roots for the brand, known for creating a neighborhood feel as a local bar and a place to spend time with new and old friends. This never-ending quest to look “for things that will excite the guest and create one-on-one relationships” has enabled Old Chicago to continually soar above the loyalty fray in a digital age. On the road to nationwide growth with strong franchise partners, Old Chicago is set to bring something special to a neighborhood near you. To explore your franchise opportunities, visit http://ocfranchising.com.